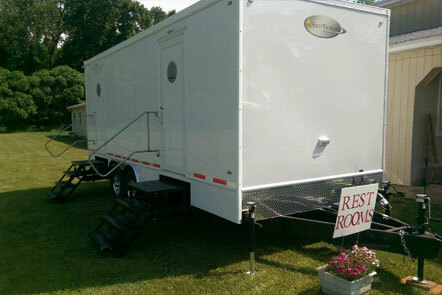 For larger events that require more upscale facilities, we offer our portable restroom trailers. 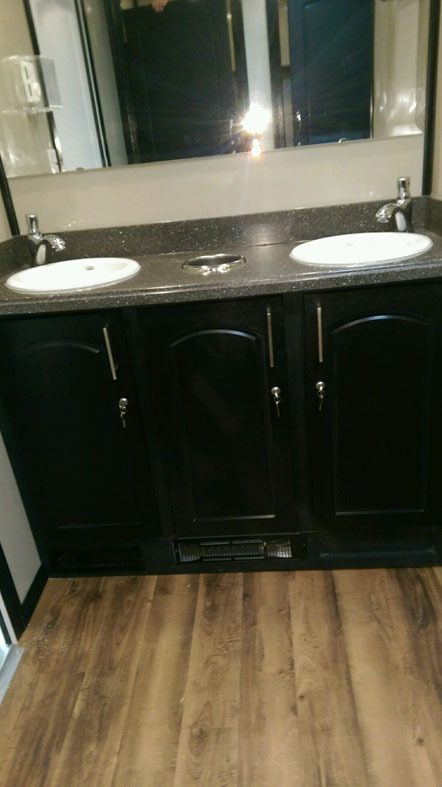 User comfort and safety is a key feature of these roomy trailers. 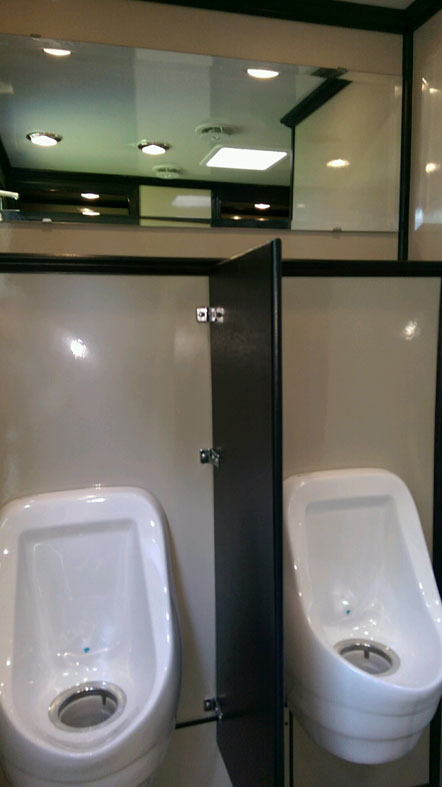 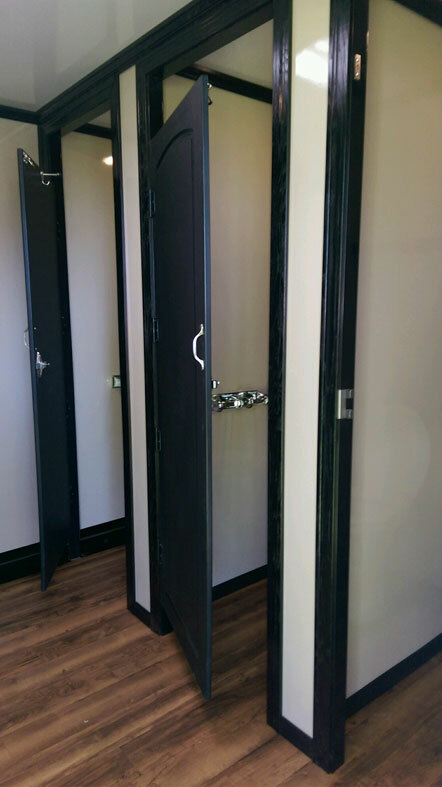 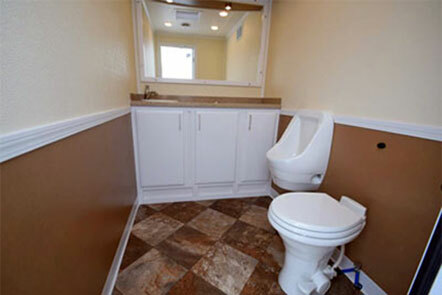 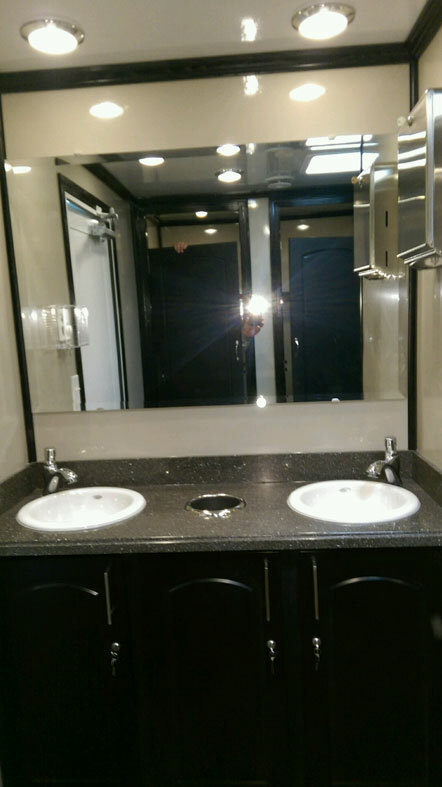 Amenities in our portable restroom trailers include large mirrors and sinks, laminate flooring, privacy screens on wall mounted urinals and completely enclosed bathroom stalls. 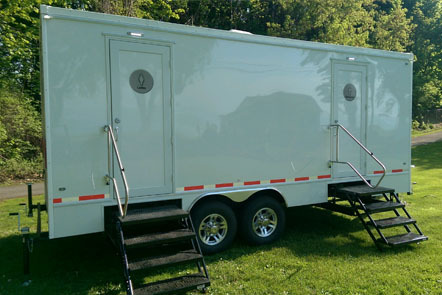 Our trailers are air conditioned and heated, have hot water, are well lit and have am/fm/cd capabilities. 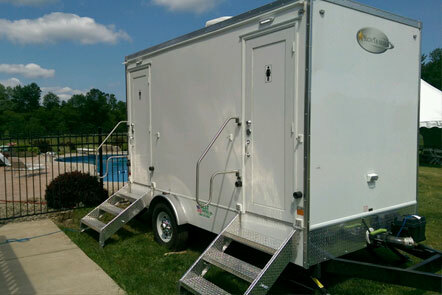 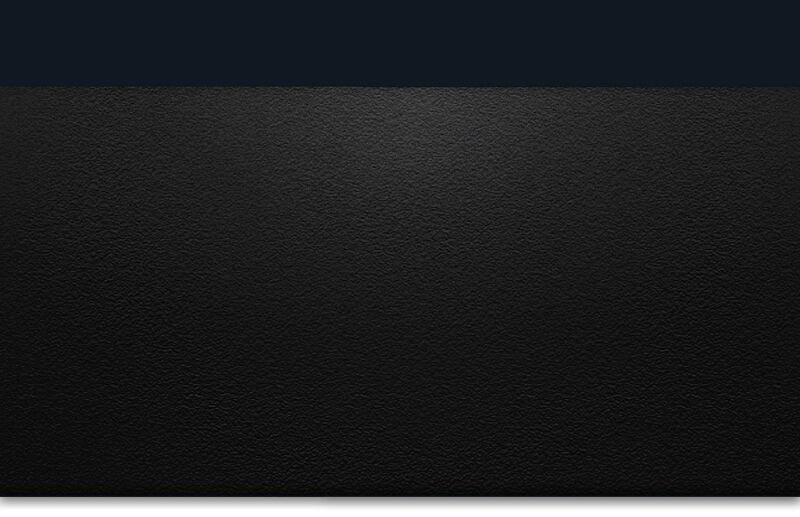 They require 110 volt hook up and garden hose hook up.